ENROLLMENT FOR THE APRIL 1ST, 2019 START DATE IS NOW OPEN! LIVING WITH AUTOIMMUNE DISEASE IS HARD, BUT THERE’S HOPE! GROUP SPACE IS LIMITED AND FILLS QUICKLY. ARE YOU IN? Take the first step of a whole new journey today! Join the next SAD to AIP in SIX group and let's do this together! SAD TO AIP IN SIX IS THE ONLY AIP GROUP HEALTH COACHING PROGRAM WITH PROVEN CLINICAL RESULTS! 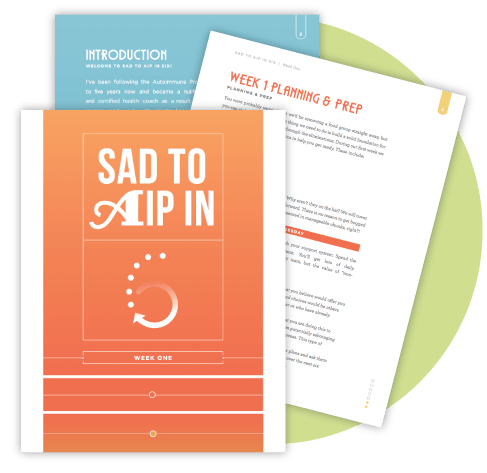 SAD to AIP in SIX is a transformative, six-week, online, group health coaching program created for people like you. 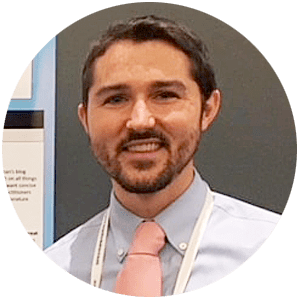 People who are committed to regaining their health and ready to begin the Autoimmune Protocol with a phased approach in a supportive environment. It’s also the only AIP group health coaching program with proven clinical results. The program was used in a medical study in 2016, and 73% of study participants achieved clinical remission. To learn more about the incredible results achieved with this program, read here. Each week is a gradual process of removing the bad and introducing the good. Every detail of the diet and lifestyle changes are covered in the program. You'll be expertly guided by trained, certified coaches, who have used AIP themselves to heal, and surrounded by an encouraging, small group of peers going through the same process with you. It all happens at a manageable pace in a completely private and very supportive on-line group where the details and organization for empowerment are baked right into the experience. EVERYONE NEEDS HELP NOW AND THEN. saves you time and energy, a precious commodity when you're not feeling your best. provides professional coaching even on a modest budget. cuts through the confusion, outlining exactly what AIP is, why it works, and how to follow it. is available from the comfort of your own home or anywhere else with internet access. helps you to take on the challenge of AIP with the guidance of professionals and friends. Move forward with me and my team on the road to recovery! My team and I are passionate about what we do and we're here to help. Why try to figure it all out yourself when there's a proven program in place to help you regain your health? My program has even been used in a medical study! 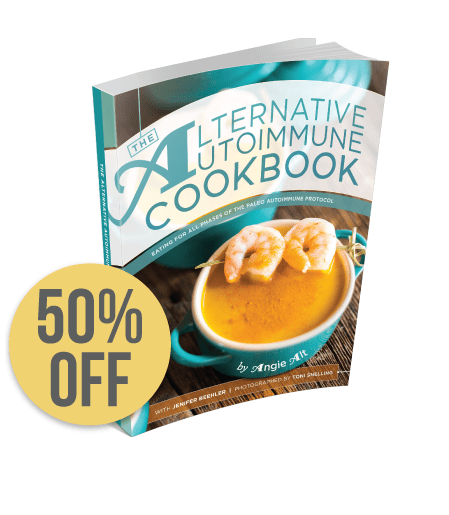 A 50% discount on Angie Alt's, "The Alternative Autoimmune E-Cookbook"
BEFORE I FORGET, LET ME INTRODUCE MYSELF AND MY TEAM! Hi! My name is Angie Alt. I’m a Nutritional Therapy Consultant through the Nutritional Therapy Association and Certified Health Coach through the Institute for Integrative Nutrition. Six years ago, after over a decade of becoming progressively more ill, I was finally diagnosed with my third autoimmune disease, Celiac Disease. It was an incredible break through moment for me. I adopted the Autoimmune Protocol and experienced a miraculous turnaround. 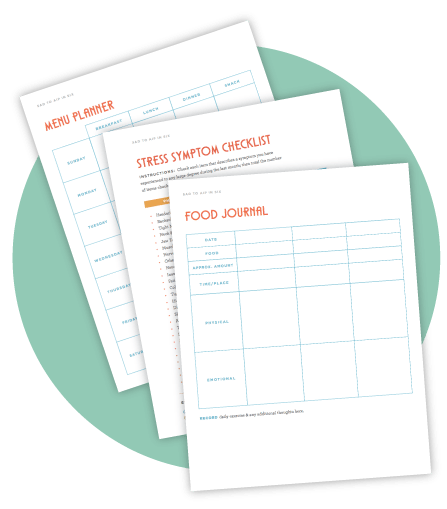 I threw myself into learning everything I could about real food, nutrition, and lifestyle changes to heal chronic illness. As I studied, I quickly realized that many folks are out there malnourished in body & mind, needing an answer. I woke up at night thinking about people who were ready to heal, but stuck in the Standard American Diet. So, I decided to do something about it!I applied my training to create an uncomplicated, easy to maintain, phased transition to AIP, which combines support and encouragement in a group setting. More importantly, having walked the path of illness to wellness myself, I can validate your experiences and be a truly sincere guide as you work toward transformation. 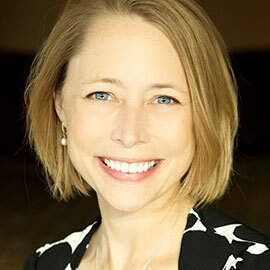 Andrea is a fellow Nutritional Therapy Consultant through the Nutritional Therapy Association. She also holds a bachelor's degree in Marine Science and is the owner of Health First with Andrea Hirsh. 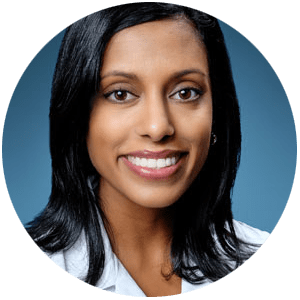 Andrea personally uses both Paleo and AIP approaches to effectively manage pyroluria and GI issues. 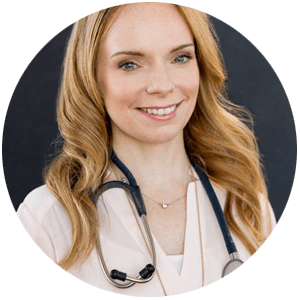 She uses specific diets and protocols to assist clients in their individual needs, and focuses on the foundations of health, rather than just treating the symptoms. Nicole is a fellow Nutritional Therapy Consultant through the Nutritional Therapy Association. She also has a bachelor's degree in Psychology and is the owner of Live & Learn Nutrition, LLC. 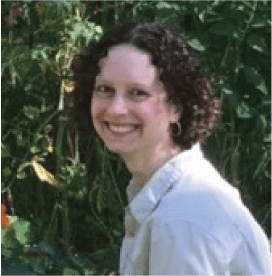 Using a nutrient dense diet and a healthy lifestyle, including an AIP approach, she put her ulcerative colitis into remission. 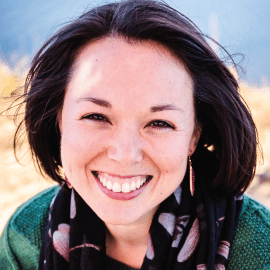 Her goal is to help others overcome poor digestion, blood sugar imbalances, fatigue, weight management issues, and find well-nourished health through real food. Jaime is a Nutritional Therapy Practitioner and a Registered Yoga Teacher. She also has a master’s degree in educational psychology and over 20 years of experience in curriculum and instruction. 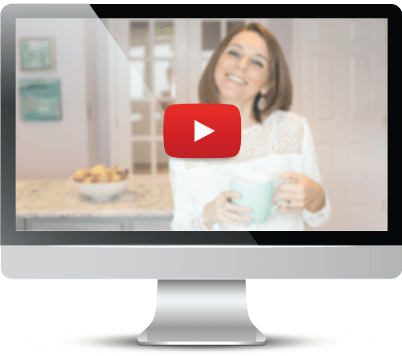 Jaime is the owner of Gutsy By Nature, which she began in 2013 as a personal blog chronicling her experiences using dietary approaches, including an early version of AIP, to manage severe post-surgical Crohn’s disease. 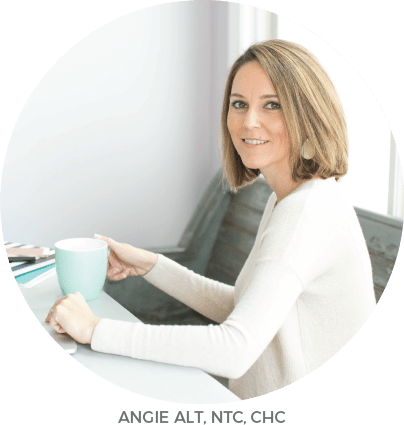 As an NTP, she specializes in helping clients with autoimmune diseases and digestive dysfunction of all types create and maintain a personalized healing protocol. Adopting this healing approach doesn’t have to be difficult! 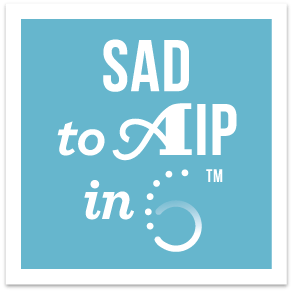 WHAT ARE HEALTH PROFESSIONALS SAYING ABOUT SAD TO AIP IN SIX? Q: What is the cost of the program (‘cause I’m watching my pocketbook)? A: The cost is $397 including all materials and group coaching for early-bird enrollment, $447 late-registration in the last four days of each enrollment period. Q: What is the refund policy (in case I need to jump ship)? A: If the client needs to cancel group membership, the client must do so 48 hours in advance of program start; in which case a full refund minus 25% administrative fee will be given. In the event of the client’s absence or withdrawal, for any reason whatsoever after program start, a full refund minus services rendered and a 25% administrative fee will be given. Q: Do you really provide nearly 24/7 online support (‘cause that seems like a ton of time)? A: Yes! Our participants span the globe and so do our coaches, allowing us to regularly check-in with the online group day and night as we rotate our schedules. Q: Can you help me with my individual health case (‘cause I have a lot of questions)? A: Group health coaching is different from personal health coaching. We can help troubleshoot challenges and encourage you to ask questions in the group setting as answers may benefit others, but we want to offer the best possible experience to all members, which means we cannot have an exclusively individual focus working to handle your specific case. Q: Do I have to be available for meetings at regular times (‘cause seriously ain’t nobody got time for that)? A: We are time crunched ladies too! Who isn’t these days? You are in luck! SAD to AIP in SIX is run at your own pace. Modules are unlocked each week on Monday morning (US East Coast Time) and you smoothly work your way through your daily assignments with check-ins to keep you progressing. You’ll check-in with the online support group for coaching help or encouragement whenever you have time. There’s a clear rhythm to our process, but you aren’t tied to specific meeting times, webinars, or frustrating, barely-audible conference calls. Perfect! Q: I live in XYZ far-flung-location-on-the-planet. Can I still join the program? A: Do you have electricity and internet access in this location? Yes? You can join! No? You live in Outer Mongolia and have bigger fish to fry. Q: I have XYZ totally-miserable-thanks-for-nothing autoimmune disease. Is the program right for me? A: We have ALL kinds of autoimmune diseases and chronic illnesses represented in our program. Angie has three different diseases herself! The beauty of AIP is that this protocol acts a template that can be tweaked for your individual health challenges. We’ll teach you the basics and give you the confidence to experiment. Q: I’m Paleo, but not sure about the leap to AIP. Is the program right for me? A: Yeppers! We have lots of folks like you who join the program. They suspect transitioning to AIP from Paleo is the right way to go for their best health, but they need support, ‘cause let’s be real here . . . AIP is harder than Paleo! Q: I’ve already started AIP (This is hard!). Is the program right for me? A: Yeppers! We have lots of folks like you who join the program. They join because they need extra support or they have questions for a health coach or they understand the dietary approach, but need help with the lifestyle aspects. Q: I have lots of things to spend my money on (like bills!). Is the program worth my money? A: We really understand this concern! Let’s put it this way... there are six weeks in this program, that’s 1,008 hours. We have coaches in strategic time zones, enabling nearly 24/7 support. Just three 1-hour sessions of individual health coaching is normally around $450, but you get 1,008 hours for less than that. We are able to do this in the group setting, which also offers you additional peer support. And we aren’t even touching on the weekly materials and other freebies! Q: I’d love to join, but my current commitments won’t allow me to give my full attention during this cycle. When is the next group offering? A program agreement will be sent within 72 hours. It ensures all appropriate legal issues are covered for both the client & the coach. The client spot cannot be held without signing the agreement. If the client fails to sign, client’s spot goes to the next person on the wait-list and a refund minus 25% administrative fee will be issued. If the client needs to cancel group membership, the client must do so 48 hours in advance of program start date; in which case a full refund minus 25% administrative fee will be given. The program expires if the client has not participated and completed within the dates specified for current program. The client understands that the cost of the program is $397 (early-bird) or $447 (late enrollment) for the six-week course. Payment is due prior to the start date, and may only be made by credit or debit card online. In the event of the Client’s absence or withdrawal, for any reason whatsoever after program start date, a full refund minus services rendered and a 25% administrative fee will be given. The Coach reserves the right to cancel the program if at any point she feels it is not advantageous for the coaching program to continue. If this happens, a full refund minus services rendered and a 25% administrative fee will be given. WHAT ARE PEOPLE SAYING ABOUT SAD TO AIP IN SIX? In addition, please be advised that all materials provided in this program is protected under copyright and it is illegal to share, copy, or re-purpose the materials for your own commercial use or with others for commercial use. You are entitled to use these materials for your own personal use. The information included in the program is for educational purposes only. It is not intended nor implied to be a substitute for professional medical advice. The Client should always consult his or her healthcare provider to determine the appropriateness of the information for their own situation or if they have any questions regarding a medical condition or treatment plan. Participating in the program does not create a physician-patient relationship. Alt-ternative Autoimmune cannot be held responsible for any direct or indirect harm resulting from the use of this program. The Client understands that the role of the Health Coach is not to prescribe or assess micro- and macronutrient levels; provide health care, medical or nutrition therapy services; or to diagnose, treat or cure any disease, condition or other physical or mental ailment of the human body. Rather, the Coach is a mentor and guide who has been trained in holistic health coaching to help clients reach their own health goals by helping clients devise and implement positive, sustainable lifestyle changes. The Client understands that the Coach is not acting in the capacity of a doctor, licensed dietician- nutritionist, psychologist or other licensed or registered professional, and that any advice given by the Coach is not meant to take the place of advice by these professionals. If the Client is under the care of a health care professional or currently uses prescription medications, the Client should discuss any dietary changes or potential dietary supplements use with his or her doctor, and should not discontinue any prescription medications without first consulting his or her doctor.